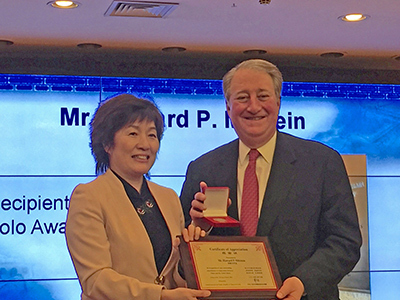 The China Association for International Exchange of Personnel announced that Howard Milstein will receive the prestigious Marco Polo Award, the highest honor given to a non-Chinese citizen. 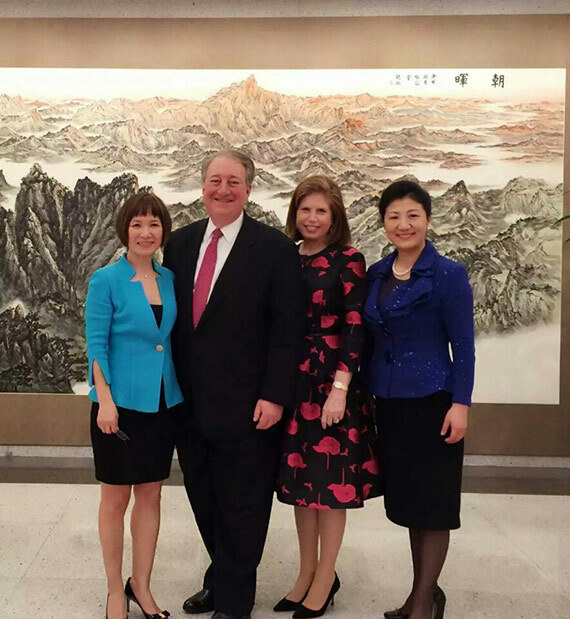 In advance of the award ceremony in October in Beijing, Mr. Milstein was recognized at the Chinese Consulate General’s office in New York City with a reception in the presence of Ambassador Zhang Qiyue, Consul General for China in New York. Presented annually by China’s State Administration of Foreign Experts Affairs, the China Association for International Exchange of Personnel, and the U.S.-China Foundation for International Exchanges, the Marco Polo Award recognizes foreign business leaders who play a significant role in China’s economic development and who demonstrate a commitment to improving Chinese society by sponsoring volunteer experts for humanitarian assignments. Since its inception in 1987, the Marco Polo Award has been presented to many distinguished Americans. Previous recipients include former U.S. President George H.W. Bush and the chief executive officers of such companies as CSX, Johnson & Johnson, Ford Motor Co., Kodak, Merrill Lynch, Nokia, and Hearst Magazines International. The China Association for International Exchange of Personnel (CAIEP) is a nationwide government-sponsored institution engaged in the international exchange of specialized technical and managerial personnel. CAIEP’s main tasks are to invite foreign experts to work in China, designate Chinese managerial and technical personnel to go abroad for practical training, assist Chinese and foreign organizations in developing friendly exchange and business relations, and arrange for foreign friends to engage in research, training, and study in China. The aim of the Association is to promote exchange and cooperation between China and other nations in the fields of industry, agriculture, finance, science and technology, education, medicine, and culture through the international exchange of personnel. These goals contribute to China’s reform, opening to the world, and modernization, and to the advancement of human civilization in general.